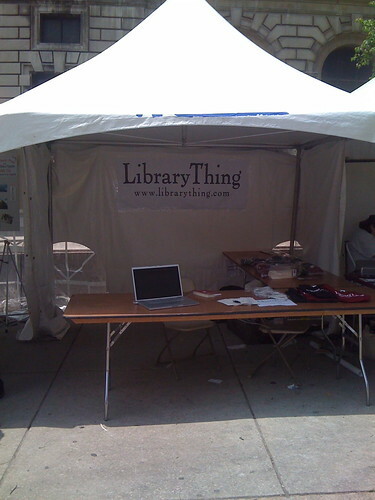 This weekend I represented LibraryThing at the Philadelphia Book Festival*. We had a booth, where I got to geek out about books and LibraryThing with readers, authors, and various styles of bibliophile. I also gave a talk on the fine, fine merits of LibraryThing. I met some awesome LibraryThing members, and a number of people who I think will be joining our ranks. I’m glad to have gone to such a book-lovin’ event, in a really cool city. *Abby was originally supposed to go, but I went in her stead.